Adjacent to our main office on Pickens Street is the Columbia Eye Surgery Center, where patients undergo surgery in our outpatient ambulatory surgery center focusing solely on surgery of the eye and its surrounding structures. Our Surgeons conduct more than 5,000 outpatient procedures each year utilizing the most advanced Alcon LenSx femtosecond surgical laser technology available, as well as more traditional surgical practices for cataract, premium lens, and laser procedures. The Columbia Eye Surgery Center also specializes in vitreoretinal services for macular degeneration, retinal detachments and diabetic retinopathy. 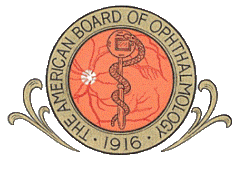 To learn more about what to expect when undergoing eye surgery visit the Web site of the American Academy of Ophthalmology.